The first blockbuster release of 2019 has arrived in the form of James Blake’s fourth full-length, Assume Form. The British electronic-pop wizard’s follow-up to 2016’s gargantuan The Colour in Anything is a full 30 minutes shorter than its predecessor, but what it lacks in length it makes up for in pure star wattage: along with indie buzz-builder Moses Sumney and flamenco pop iconoclast Rosalía, the record features contributions from hip-hop hit-making producer Metro Boomin and pop-rap stylist Travis Scott, as well as an always-appreciated verse from André 3000. Such contributions gesture toward the gradual ascent Blake has experienced throughout this decade, which has brought him to a level of behind-the-scenes pop prowess resulting in credits on albums from Scott, Beyoncé, and Kendrick Lamar. Arguably, Assume Form is positioned to be his most profile-raising record yet — no small feat for an artist who’s steadily broken through both indie and electronic music’s flexible ceilings as his audience has grown. There are doubtlessly listeners discovering Blake’s latest who lack familiarity with his rich, fascinating back catalogue — which is precisely what we’re here for. What follows is a beginner’s guide of sorts to Blake’s weirder, more left-of-center output — nothing from his three well-known LPs to date, leaning more toward his early and more emphatically electronic days as well as the more experimental work he’s dabbled in between albums. There’s definitely more of this type of stuff from him, too, so if you find yourself so inspired, digging into the weirder corners of his catalogue is definitely recommended. Blake’s early production days were situated in the context of the UK bass scene, a loose collective of producers mining a sub-rich and refracted sound that straddled the line between abstract, at-times punishing textures and straightforward dance music. (The music made within these sonic confines was sometimes referred to as “dubstep,” as well — perhaps a slight misnomer considering how far the sound would occasionally stray from dubstep’s clattering, dub-heavy rhythms; the term is similarly a misnomer for the drop-heavy subset of EDM that Skrillex and other like-minded hair-whippers made big during the early and middle part of this decade.) The A-side to Blake’s debut single for British bass maven Untold’s Hemlock label, “Air & Lack Thereof” spends a few moments embracing dubstep’s dread-drenched menace before unfolding into an effervescent, tangy gait, with a bright vocal sample and zippy keyboard stabs adding color to the track’s sparse surroundings. Curiously, the three premier labels at the peak of UK bass all had names that started with the letter H: the aforementioned Hemlock, Scuba’s Hotflush imprint, and Hessle Audio, reputed for rough-and-tough releases hand-selected by Pearson Sound impresario David Kennedy. Blake’s second EP — his last to appear on one of the three H’s — saw release on Hessle, and its title track felt more patiently paced and expansive than its predecessor, showcasing Blake’s willful experimentation when it came to balancing negative sonic space with screwed-up vocal samples and synth detritus. The midsection of “The Bells Sketch” reveals a surprising G-funk whine, and that’s before Blake’s own voice bursts through the surroundings — the first gesture towards revealing himself as a vocalist interested in breaking through UK bass’s tough confines. One of the distinguishing characteristics of Blake’s bass days was his willingness to get loose with the sub-genre’s form; where many of his contemporaries were pushing the brown-sound limits of low-end resonance, Blake exhibited a greater melodic playfulness while taking risks when it came to disjointed rhythmic frameworks. He had few contemporaries at the time, but UK duo and frequent collaborators Mount Kimbie were among them; their 2010 single “Maybes” plumbed similar depths as “The Bells Sketch,” and so it made perfect sense when Blake offered his own spin on the tune. If “Maybes” took on the type of overcast shape that Mount Kimbie have since proved themselves masters at creating, then Blake’s remix retrofits the tune for the dance floor, with snappy rhythms and bold bursts of vocal samples that inject a sense of soothed playfulness into the original cut. If Blake’s previous releases suggested a genre-busting auteur on the rise, then “CMYK” and the EP of the same name represented a true breakout moment. If you hadn’t heard a lick of his music prior to this track, this was likely your introduction to Blake’s work, and how: standing as one of his most impactful and flat-out fun singles to date, “CMYK” takes a sample of Kelis’s “Caught Out There” and effectively runs it through a particle separator, building to a maximalist peak of spaced-out beats and frothy synths in a fashion that represents pure sonic overload. The single effectively put Blake on the map as a genre-crossover fabulist, cemented indie’s increasing fixation with R&B, and more or less resurrected the fortunes of Dutch techno label R&S, who has since built a roster of similar dance-abstracting artists, decades after its early rave days. Blake’s 2010 run was impressive in ways beyond the fact that it led to his star-making 2011 self-titled LP; over the course of 12 months, he exhibited how capable and original his approach to electronic music was through a variety of filters. If his “Maybes” remix showcased his dance floor know-how and “CMYK” gave a taste of his slippery pop side, then the Klavierwerke EP was the final piece of the puzzle leading up to James Blake, hinting at the piano-heavy approach his work has since taken. As with much of his pre-James Blake material, the four songs on Klavierwerke are abstract in the truest sense, but the five-minute stunner “I Only Know — What I Know Now” was and still is a revelation of his tempered balance of gaps of silence and quiet, piano-stabbed reveries — a beautiful slice of heaven tilting towards — but never quite fully embracing — the more straightforward paths his material would take afterwards. 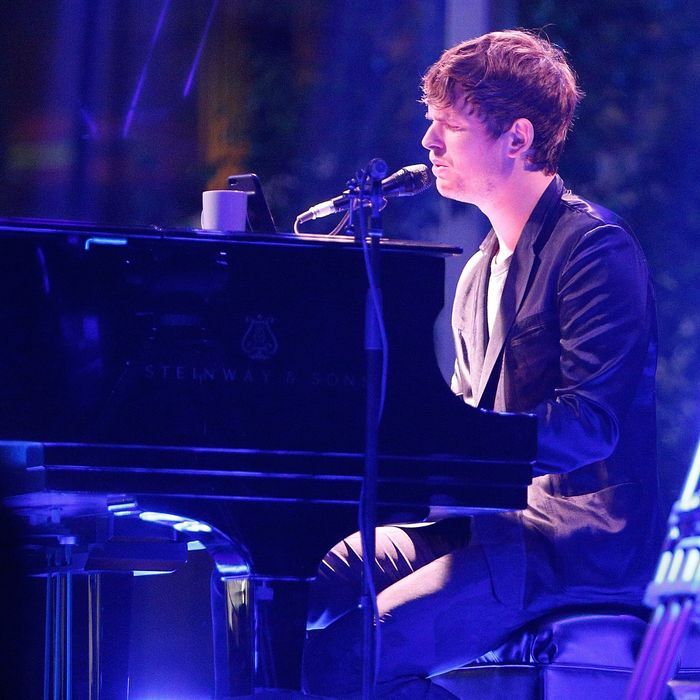 After the release of James Blake and the accompanying Enough Thunder EP, there was some trepidation that Blake had disappeared headlong into Starbucks territory — specifically, just-weird-enough music that nonetheless carried enough mainstream appeal to be played in the background of coffee shops across the nation, indistinct and pleasant. Whether that concern bore prophetic fruit is another discussion altogether, but the R&S-released Love What Happened Here EP from the end of 2011 was more than enough proof that he wasn’t shedding his experimental side any time soon. Blake’s last EP for the Dutch label to date featured the dark techno of “At Birth” and an intriguing hip-hop-flecked cut, “Curbside,” but its winding, lovely title track is the true showstopper, with a wandering synth line navigating a maze of rhythmic clicks and thumps as clipped vocal samples slide their way into the surroundings to add textural complications. As the decade progressed, Blake became something of a hired gun within pop’s upper echelon, adding his spice to music from artists varying from Beyoncé and Frank Ocean to Kendrick Lamar and Travis Scott — an ultracollaborative approach fully reflected in Assume Form’s guest-star wattage. You could argue that his work with Chicago rap hero Chance the Rapper kicked off Blake’s pop-producer rise; this single from 2013 — released just a few months after his placid sophomore effort, Overgrown — represents something of a perfect merge between the pair’s approach, with Chance’s nimble verses ably riding the serpentine beat that Blake crafted for the two to croon over. As Blake has worked more and more within pop’s confines — both on his own records and others’ — he’s increasingly turned to his 1-800-DINOSAUR label to get wild with his sound. The 200 Press EP, which arrived a year after Overgrown, is more than enough evidence of that dichotomy; the EP found Blake essentially revisiting some sounds recognizable from his 2010 run — the soft thump and jagged pianos of “Building It Still” are pure Klavierwerke — and disappearing into thornier, more unexplored corners as he did on “200 Pressure,” a nasty-sounding cut that takes cues from acid techno’s seasick squelch before dissolving into a fit of hiss and static. The tune could also be taken as a hat-tip to the mutations that the UK bass scene underwent around this time; by the time Blake was a festival-wrecking name, many of his dancier former contemporaries had begun exploring the type of brutal, off-kilter techno that “200 Pressure” flirts with. Blake’s production and songwriting style isn’t exactly considered synonymous with grime, the UK-born rap subgenre favoring speedy tempos, flashy melodies, and raps ranging from off-the-dome toasting to severe and introspective tough talk. But he’s capably dabbled in grime nevertheless, with former Roll Deep member Trim at his side; in 2012, Blake adopted his Harmonimix moniker for the collab single “Confidence Boost,” and in 2016 his 1-800-DINOSAUR label released a two-tracker from Trim featuring this Blake production on the A-side. What’s most surprising about “RPG” isn’t the fact that it represents Blake’s continued left-field explorations the same year that his gargantuan, bucolic third LP The Colour in Anything was released — it’s that he can do grime’s frantic, high-speed sound so well, while still turning in a production that sounds like it came from no one but him. Perhaps the best single Blake’s released in years, this one-off from last year reflects his near-perfect alchemy of the weird and the melodically sublime. “If the Car Beside You Moves Ahead” sounds practically submerged, its opening tones sounding like a submarine’s light wavering in and out of focus underwater; Blake employs his high and low register vocally, along with artificial pitch-shifts and a crawling beat that evokes the title’s traffic-stuck feeling without embodying the doldrums of, well, actually being stuck in traffic. This one didn’t make it onto Assume Form, evidence both of the new record’s different sonic direction as well as proof that, a decade into his fascinating career, Blake continues to take time for himself to color outside of his self-defined lines.